The QLZH Foundation hosted its first fundraising event on Friday 28th October. 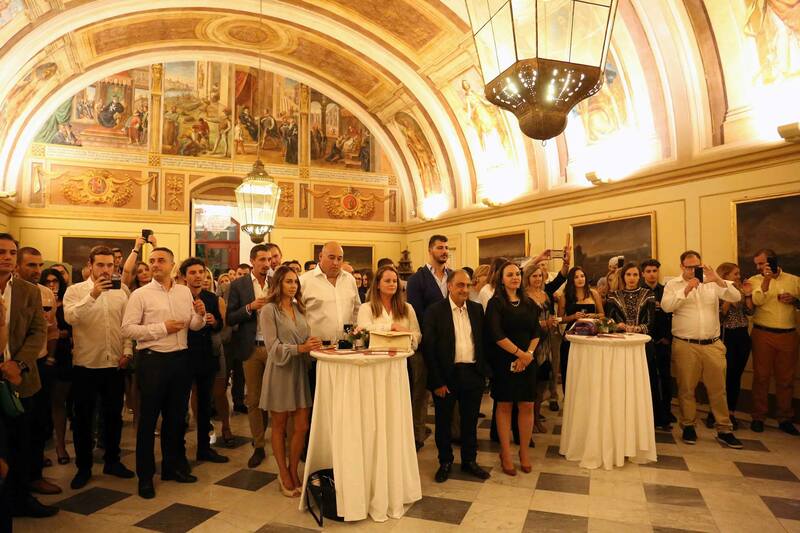 Verdala Palace served as an excellent venue to welcome friends of the Foundation who responded to its invitation. All proceeds from ticket sales were donated to the Foundation’s causes. A number of companies have also donated their good or services to be raffled on the night. Two prominent Maltese artists, Ed Schembri, and Zack Ritchie gifted pieces from their collections for the raffle. Her Excellency Marie-Louise Coleiro Preca was present for the event. The President is the honorary patron of the QLZH Foundation. During the event, Steve Mercieca, Co-Founder of the Foundation related the future plans of the NGO. Earlier that week, the Foundation received media attention after revealing plans to plant one million trees over a course of ten years, in collaboration with ACT. Environment. Currently, the Foundation plants a tree for every house sold by Zanzi Homes. Together with the above, the Foundation aims to educate a child in Ghana for every property rented in Malta by QuickLets as well as build a school in the same country. The long-term goal is to also build a home in the African continent for every house sold in Malta by the same estate agency. Three of the paintings donated by the very talented Ed Schembri will be auctioned online in the following weeks to raise further funds for the Foundation. More information about the QLZH Foundation and its goals can be found on www.qlzhfoundation.com. The site also offers an easy way to donate online. Copyright © 2019 QLZH Foundation. All Rights Reserved.